One of the most significant phases of the late 19th Century was in the field of commercial electrification. 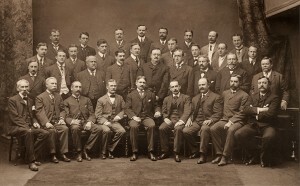 In 1882, Thomas Edison opened the first publicly owned and operated electric generating station (the Electrical Illuminating Company) where John D. Hatzel and Joseph Buehler were employed as master electricians. Soon after the completion of this first commercial electrical generating plant, Mr. Hatzel and Mr. Buehler left to start the partnership of Hatzel & Buehler. Click the arrows below to view the timeline. 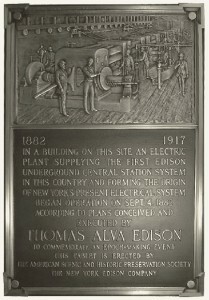 Thomas Edison opened the first publicly owned and operated electric generating station on Pearl Street in New York City. 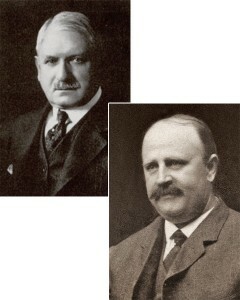 John D. Hatzel and Joseph Buehler start the partnership of Hatzel & Buehler, and open the Company’s first office in New York City. 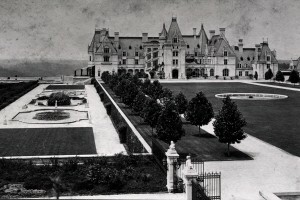 The Company wires several landmark estates for electricity, including The Biltmore Estate, in Asheville, North Carolina and The Breakers in Newport, Rhode Island. The Company joins the National Electrical Contractors Association (NECA). Hatzel & Buehler continues to be the longest continuous member of NECA. 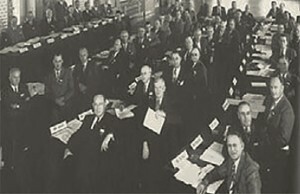 Mr. Hatzel & Mr. Buehler attended a New York Electrical Contractors Association Meeting, where Mr. Hatzel served multiple terms as President of the Association. 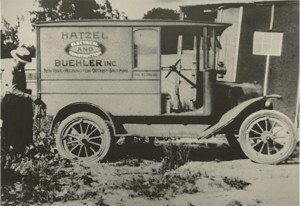 Hatzel & Buehler provided electrical installation services inside of A.I. 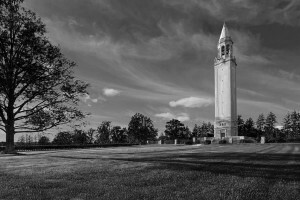 duPont’s newly constructed Bell Tower. 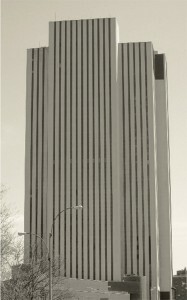 Hatzel & Buehler incorporates in New York City and opens an office in Wilmington, Delaware. 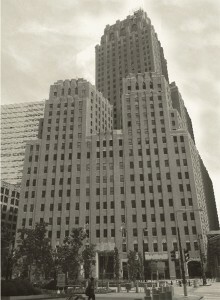 Completes electrical work at the newly constructed New York Telephone Company. 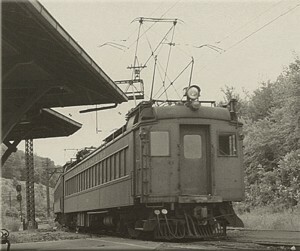 Builds the electrical substations for the Lackawanna Train Line which transported people into New York City from the New York, Pennsylvania and New Jersey suburbs. Completes electrical work at the Chrysler Building in New York City. 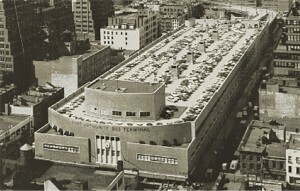 Completes electrical work at the General Electric Building in New York City. 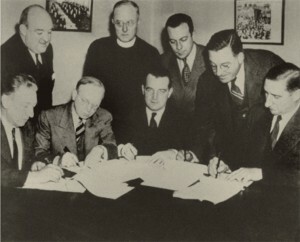 The president of Hatzel & Buehler signs the First Pension Agreement between Local 3, International Brotherhood of Electrical Workers and the New York Electrical Contractors Association. 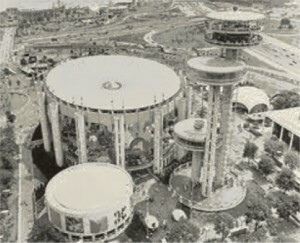 The New York World’s Fair opens. Hatzel & Buehler completes electrical installations at multiple exhibits within the World’s Fair. 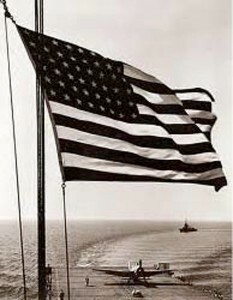 Throughout World War II, Hatzel & Buehler works directly for the US War Department and the US Naval Department, supporting their various electrical needs. The Tripler Army Medical Center in Hawaii is completed. 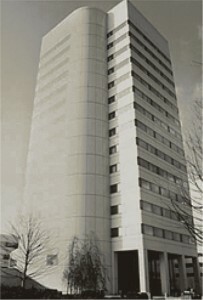 Hatzel & Buehler performs electrical installations in the hospital buildings. 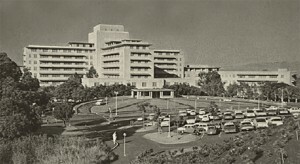 The hospital remains the largest military hospital in the Asian and Pacific Rim region. Hatzel & Buehler completes electrical installations at the Port Authority Bus Terminal in New York City. 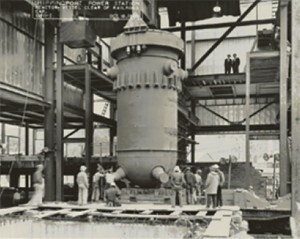 The first US Nuclear Power Plant (Shippingport Atomic Power Station) is constructed. Hatzel & Buehler wires the power station. Hatzel & Buehler completes electrical work at the newly constructed Ford Motor’s Corporate Headquarters Building in Dearborn, Michigan. 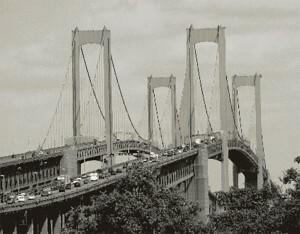 Completes the second phase of electrical work on the Delaware Memorial Bridge (the first phase was completed in 1951). 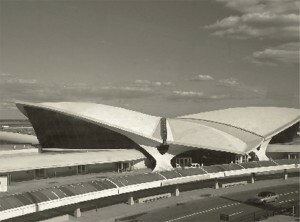 Provides electrical construction within various terminals at John F. Kennedy Airport in New York. 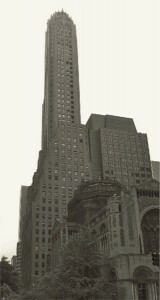 Finishes the 30 story, 810,000 square foot Communications Equipment Building for the New York Telephone Company. 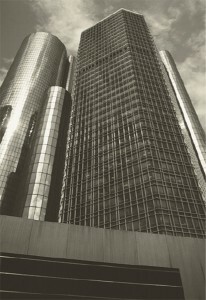 Completes electrical installation at the 70 story, 5,000,000 square foot, newly constructed Ford Renaissance Center in Detroit, Michigan. 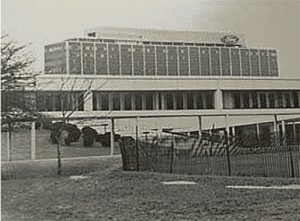 Performs electrical installation at Johnson & Johnson’s World Corporate Headquarters in New Jersey and continues to perform on-site work for Johnson & Johnson to the present. 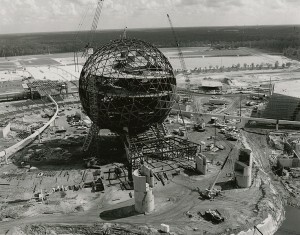 Completes electrical installation at Epcot Center at the Walt Disney World Resort in Florida.